Being full time employee to an organization which at times need more than 9 hours of my time a day and being someone who has so many hobbies (which again need some time and attention) is a though thing to manage. To top it all I got married to a foodie, someone who does not believe in the quantity of food but is very particular about the quality of food. My husband loves eating, and he adores it when I make his favourite dishes. He is critical about food so I just can’t boil anything and serve that to him, he needs only Good Food. But with my full time job, blog and other household chaos cooking becomes a tiring job at times for me. Foodpanda is site which works as a channel between us and our favourite restaurants. Now for all those who think why do we need this channel, don’t you think opening each restaurant site one by one to find menu or calling them separately will be more time consuming then finding information about all of them at one place. By bringing menu and contact details of various restaurants at one place Foodpanda makes food ordering very easy for customers. 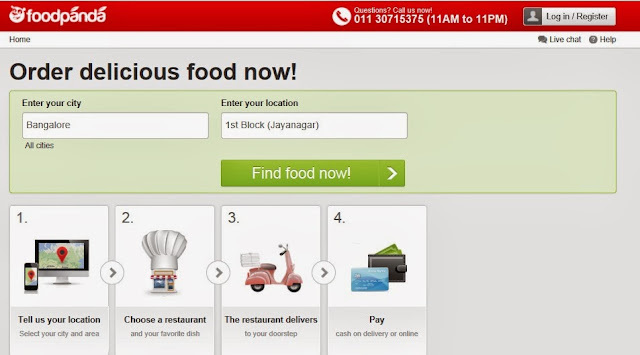 Foodpanda serves in many other countries and in India currently it is active in 14 cities. This site also offers lots of verity to end user in terms of cuisines and most of the well know restaurants are available here. This is not all, it also takes care of our pocket by giving us good deals on our meals J Which we cannot get otherwise. Ordering process is quite simple too. On the main page we can select our city and area and it will list down all the restaurants available. We can see their menu and by clicking on the add button next to each item we can create our order and once done finally click on place order. Within some time the restaurant people call and confirm the order too in many cases. And in case you have mood to eat some specific food then just select that cuisine on their main page and you will see all the restaurants which serve that food. It’s quite simple and fun. And for families where one like Chinese and other loves Mughlai, Foodpanda works as saviour by bringing details of both types of restaurant at one place. 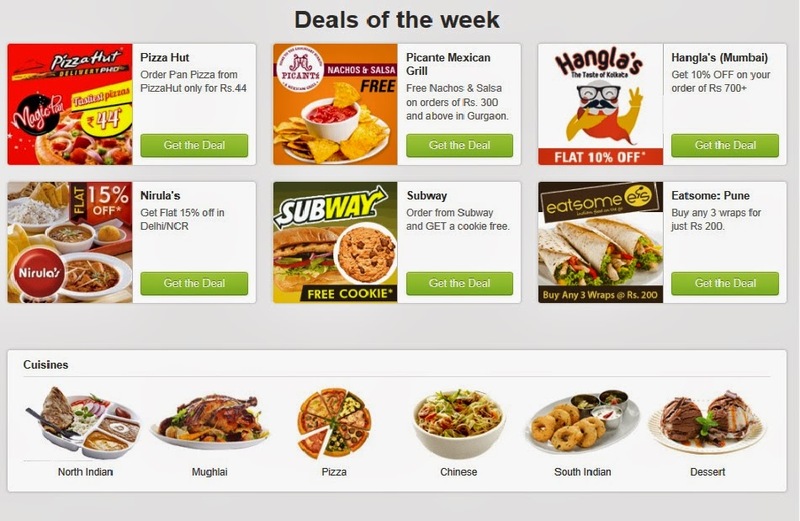 This site takes orders from 11 am to 11 pm, which means whether it is lunch order in office, late lunch on weekends or dinner Foodpanda is ready to serve us always.